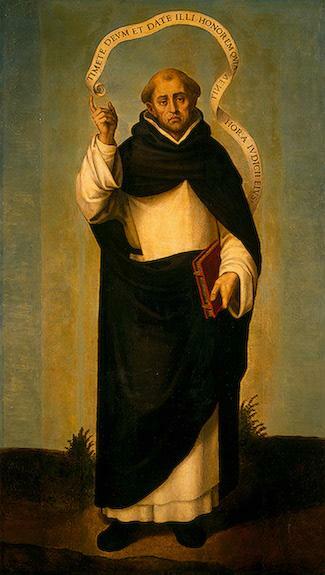 Firstly, let me say I am loathe to put forward the recommendations another makes for a fellow Christian’s penance, let alone propose such myself, especially for the ordained and especially even more so for the Successors to the Apostles. Never in my life prior could I have but imagined this turn of events or wanted to. Yet, it having been more than a little embarrassing to be a Catholic of late, I am sanguine to do so in this case. I think of all the Irish who suffered degradation, injustice, poverty, death, discrimination and starvation rather than renounce their faith, and then I think of the betrayal of clerical pedophilia and its cover up, and it makes me more than angry, more than sick to my stomach. My Christian commitment/obligation toward forgiveness is sorely tested. I am sure, though, not more than I have tested the Lord in His love of me, so I maintain. To think, it would not be our enemies who could break us or most severely test us, but our spiritual parents/leaders? Judas lives. He continues to kiss. The Passion plays itself out over and over again in OUR lives!! Does it not? Tragic, no question. Spooky, too. At the Easter vigil, the bishop would literally “take the penitents by the hand”, they having been excluded, as part of their penance, from regular liturgical celebration with the community, from the vestibule of the Church and lead them back into the community and normal life, the salvific work of the Resurrection literally restoring the penitents to life. 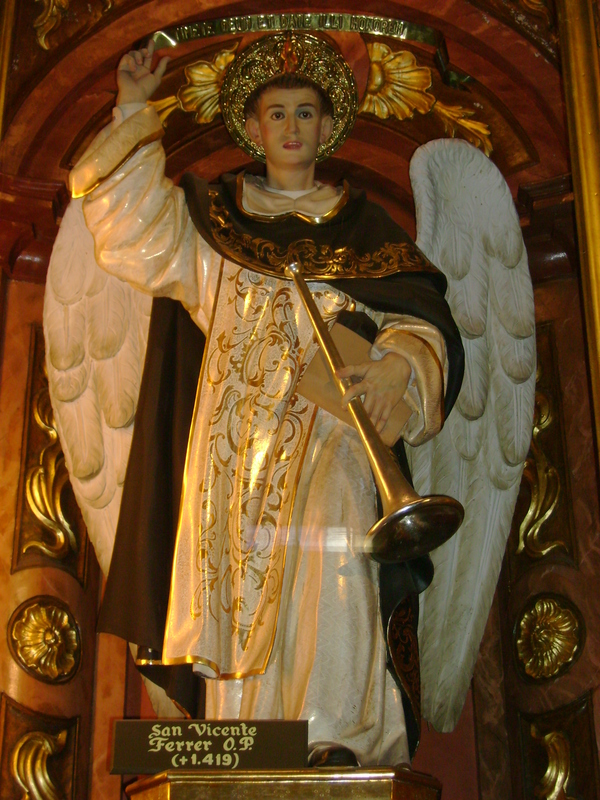 So severe was penance that many early potential Christians, Emperor Constantine himself included, hesitated being baptized for this reason, so grave were the consequences of sinning, in this life at that time, preferring to live as before and be baptized just before death, ostensibly when it was more convenient to forego the pleasures of life and less likely to fall into sin. In the July 10 edition of the National Catholic Reporter, probably “The” standard of Catholic journalism and news on the Church in the US, Paul Wilkes, http://en.wikipedia.org/wiki/Paul_Wilkes, writes a fine article on proposed episcopal penance. Please see below. Many lay Catholics are taking his suggestions seriously. If you don’t believe me, read what my friend Susan Vogt wrote below. As my friend Susan points out, this would be the innocent doing penance for their culpable Christian brothers and sisters. I say, how very Christian. Isn’t that the very premise for the Incarnation? If VOTF decides to move forward with this initiative, as a member, I will eagerly join them and do my share. The words of the Miserere form easily on my lips, I have prayed them so many times before and need no notes or text any longer. A VOTF Year of Penance? bishops and didn’t want to get involved. I decided not to push it further. would wear penitential clothing, the modern counterpart to sackcloth and ashes. offices. Or, as a pastoral associate – not clergy – doing real parish work. where we Catholics might join them, in silent affirmation of their bravery. of staff, alone with those violated by our arrogance. guests. No public approbation, no honorary degrees. somber marking to signify they are doing penance. activate the local affiliates. Besides, it doesn’t cost any money. I spend a lot of time in Catholic parishes and rectories these days, talking about the components of local church excellence–the subject of a Lilly Endowment study and a couple books of mine–and speaking on behalf of a poor Indian orphanage my wife and I are trying to help. And, so from Seattle to Boston, Birmingham to Green Bay, I have the opportunity to hear from a lot of Catholic pastors and parishioners. I sit in their kitchens and living rooms, ride to and from airports, and as we talk about the state of our church and its declining numbers and influence on lives–especially on the lives of our young people–the subject inevitably returns to the clergy abuse scandal of the past decade. What I hear and feel is a sense of terrible unease that the leadership of my church has not yet fully and squarely dealt with the horrible fallout. Yes, there have been billions of dollars in payouts and a Charter for the Protection of Children and Young People. But somehow money and policing have not been enough. I covered the historic meeting of Catholic bishops in Dallas in 2002 when, in a moment of panic and public outcry, the charter was adopted. It mandated that any priest, with even the whiff of an allegation, would be removed. There was nothing to similarly punish or even sanction bishops for their culpability in transferring or sheltering known abusers. Priests across the country felt betrayed; they noticeably retreated from youth work. Some even stopped wearing their Roman collars in public. They felt doubly betrayed because none of the men voting on that charter–the assembled bishops of America–took a hit. I have not yet found a Catholic priest who felt fairly treated by the Dallas decision. They felt betrayed, sacrificed, sold out. I have a simple answer, one, I think, would put this horrible chapter in American Catholic life behind us. A Year of Penance by the bishops of America. A true sign of contrition. The Year of Penance would include both those who have unduly protected abusing priests and fought the charter–claiming their ecclesiastical rights were being violated–and those who have been the most generous with settlements and open, with their records on suspected abusers. All would stand together, collectively, asking forgiveness. We have had a year of St. Paul, now a year dedicated to the priest: hood, why not a year of penance in this still unsettled time? Public penance is hardly new to the Catholic church. It has a rich and fruitful history. The hierarchy and popes demanded it of secular rulers for centuries. Many a king and prince have waited in the rain or knelt in the snow, humbly as any common sinner. There was a felt need to make public restitution for especially heinous public offenses against the moral order. There was no better way to make this point than to see royalty shed of their raiment, eyes cast down, outside church or papal chamber, awaiting a sign they are forgiven and can go on with their lives. Today, the need to rectify is reversed by the clergy abuse scandal. It is the hierarchy who need to take on a penitent’s mantle for it is they who abdicated their shepherd’s trust as they protected their own, some of them cowardly jeopardizing our children while boldly protecting the institution. * Bishops would wear penitential clothing, the modern counterpart to sackcloth and ashes. * They would refrain from wearing their miters and, when in public, only be marked by the simplest of crosses. * They would spend at least one day a week working alongside the people of their diocese, doing real labor, working in restaurants, on construction sites, in offices. Or, as a pastoral associate–not clergy–doing real parish work. * They would spend another day in solitary prayer, part of it in their home cathedral, where we Catholics might join them, in silent affirmation of their bravery. * They would have monthly dinners with the victims of abuse and their parents, so that they might know even more deeply of their pain. Without lawyers or the filter of staff, alone with those violated by our arrogance. * They would refrain from public appearances, other than those proper to their office, confirmation and such, and avoid banquets and events at which they are esteemed guests. No public approbation, no honorary degrees. * At such religious events, they would wear the usual garb of a priest, with some somber marking to signify they are doing penance. Having been a Dominican novice directly after college, I was introduced to Fra Angelico (“Brother of the Angels”) at an early age. He is one of my most favorite artists, as you may imagine. I asked for and received for my birthday one year a large coffee table book of his works. It is a treasured possession in my library. 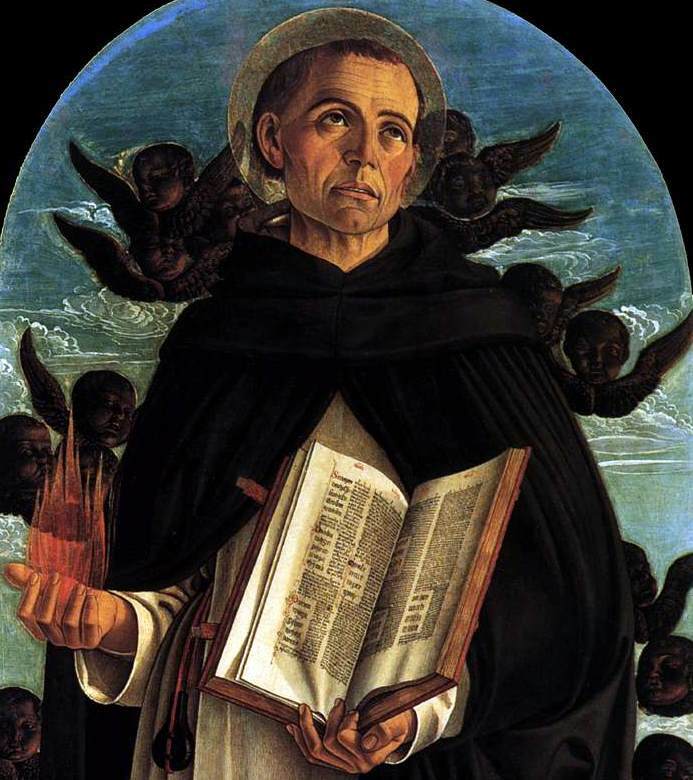 The patron saint of Christian artists was born around 1400 in a village overlooking Florence. He took up painting as a young boy and studied under the watchful eye of a local painting master. 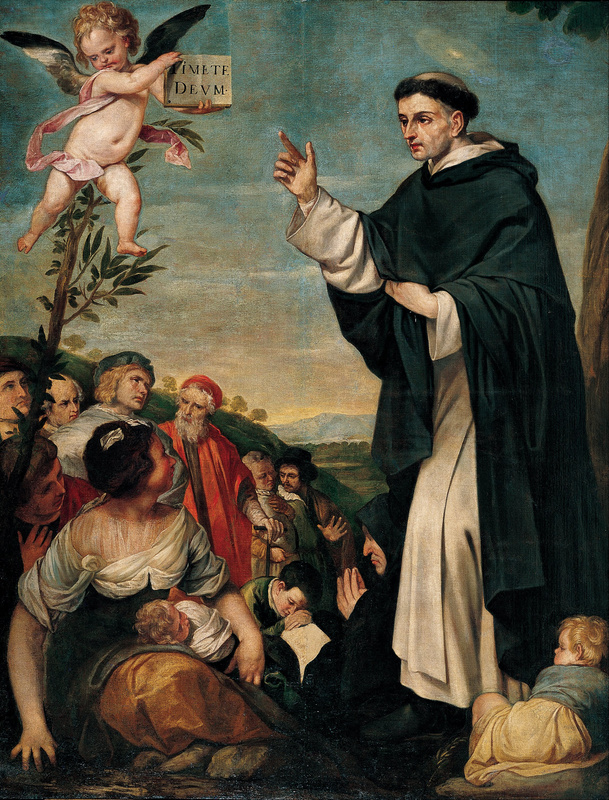 He joined the Dominicans at about age 20, taking the name Fra Giovanni. He eventually came to be known as Fra Angelico, perhaps a tribute to his own angelic qualities or maybe the devotional tone of his works. 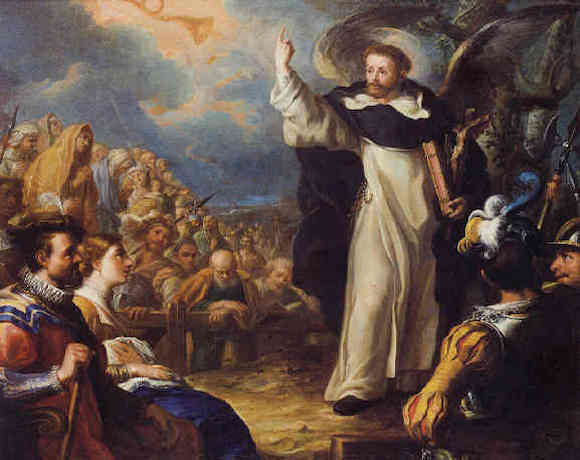 He also served in leadership positions within the Dominican Order. At one point Pope Eugenius approached him about serving as archbishop of Florence. Fra Angelico declined, preferring a simpler life. He died in 1455. Fra Angelico is one of the few candidates for beatification and canonization who have had their artwork examined for orthodoxy and sanctity by Vatican committees charged with verifying such things, as opposed to their writings. It is averred Fra Angelico never handled a brush without fervent prayer and wept when he painted the Crucifixion. was reported to say “He who does Christ’s work must stay with Christ always”. 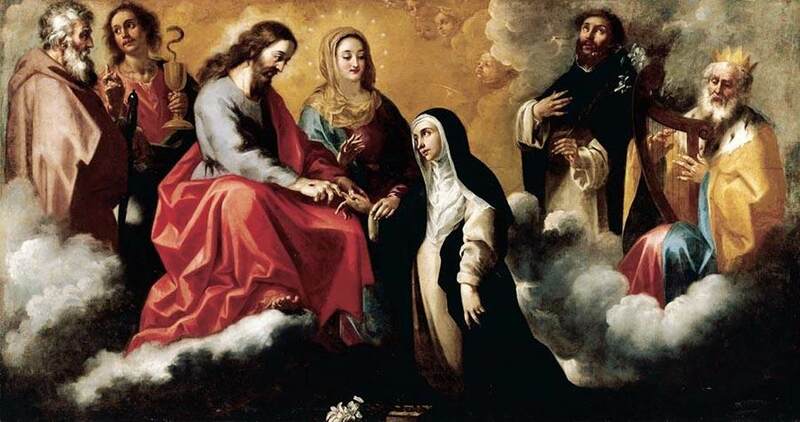 This motto earned him the epithet “Blessed Angelico”, because of the perfect integrity of his life and the almost divine beauty of the images he painted, to a superlative extent those of the Blessed Virgin Mary. Jean had been consulted by their then owner in her capacity as an expert medievalist. 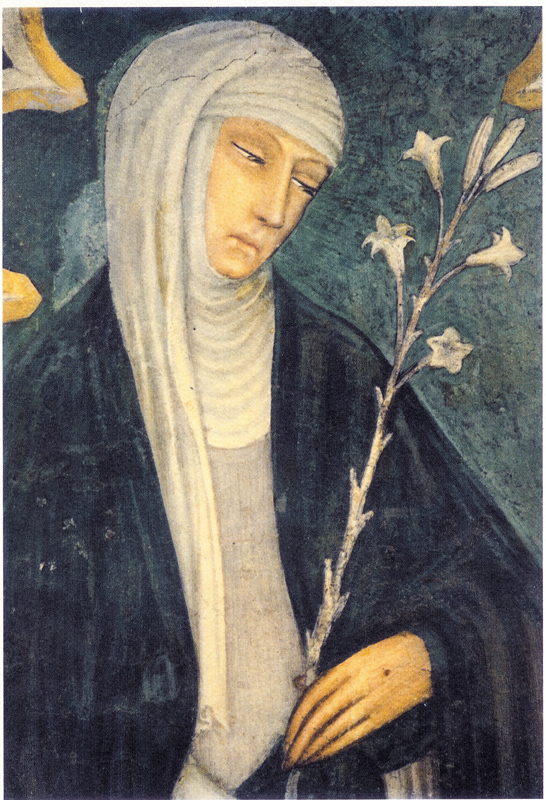 She recognized them as being high quality Florentine Renaissance, but it never occurred to anyone, even all the dealers she approached on behalf of the owner, that they could possibly be by Fra Angelico. They were finally identified in 2005 by Michael Liversidge of Bristol University. There was almost no demand at all for medieval art during the 1960s and no dealers showed any interest, so her father bought them almost as an afterthought along with some manuscripts. The paintings are two of eight side panels of a large altarpiece painted in 1439 for Fra Angelico’s monastery at San Marco, but split up by Napoleon’s army 200 years ago. While the centre section is still at the monastery, the other six small panels are in German and US museums. These two panels were presumed lost forever. The Italian Government had hoped to purchase them but they were outbid at auction on 20 April 2007 by a private collector for £1.7M. Even if we were illiterate and lived in the Middle Ages, as most people of that time were, we would know the tradition about praying to the Virgin before her image, so the good (Beato) Fra has still helped us raise our mind to God through his favorite subject of the Annunciation. 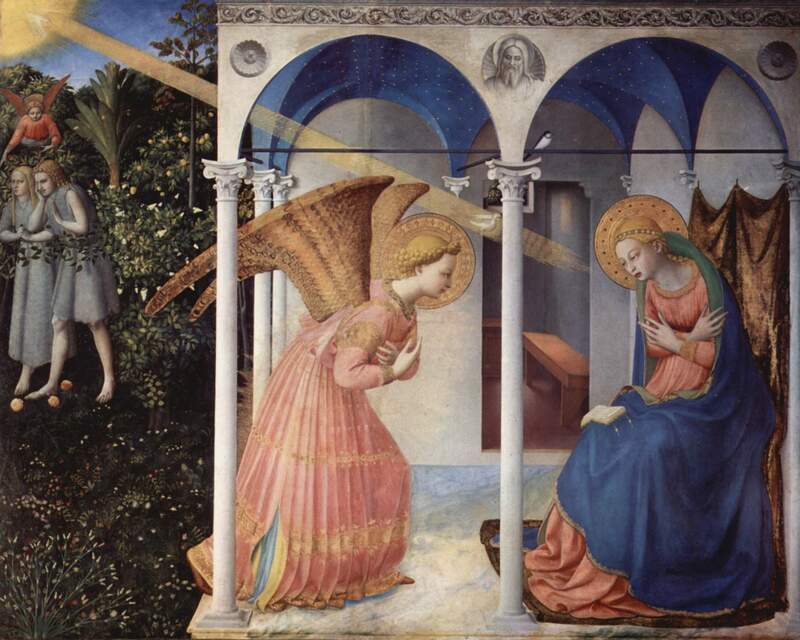 Medieval devotion (even late medieval and early Renaissance–circa Fra Angelico) to the Virgin was extreme. It really was “to Jesus, through Mary” and often “only through Mary.” God fills us with awe to such an extent that we cannot but tremble in His presence, but the Virgin was a simple peasant woman – comprehensible, appealing and approachable to a wider audience of the time. 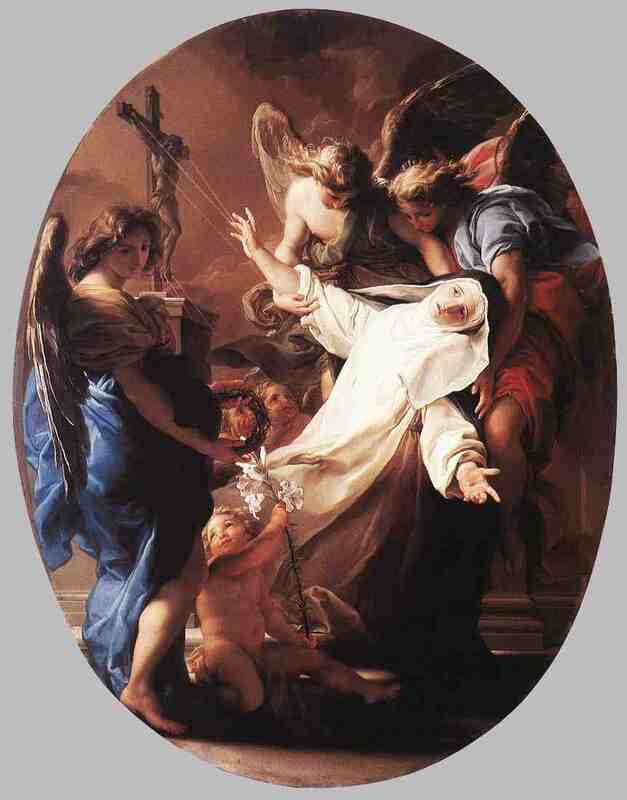 She was and is the door to salvation for the bad, the stupid, the concupiscent, the ignorant, and the unworthy. Popular literature of the Middle Ages is replete with stories of how the Virgin saves everyone who asks, leading them to her Son. Fra Angelico’s Annunciations are a real reminder of that: not just a reminder to ask, but an opportunity to do so. 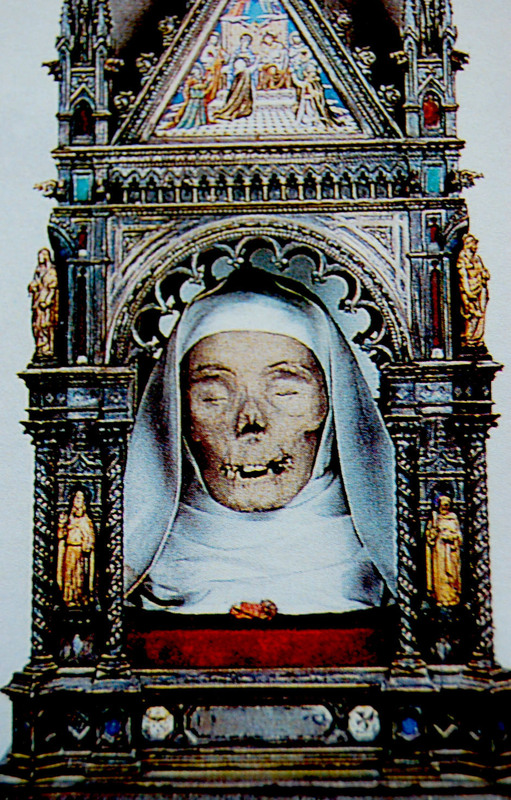 Medieval art tends to be performative—it is intended to be actually efficacious for the obtaining of grace. Attempting to appreciate Medieval merely passively or as a simple visual aesthetic would be to underestimate it and misunderstand, under-appreciate it in the extreme. It is not just a picture or a reminder to pray—it is a prayer, and you pray it by looking and participating in it. The intent of medieval artists and their expectation of their audience was the art, whether a painting, a sculpture or a medieval morality play, is a sacramental, and it really does help save your soul. 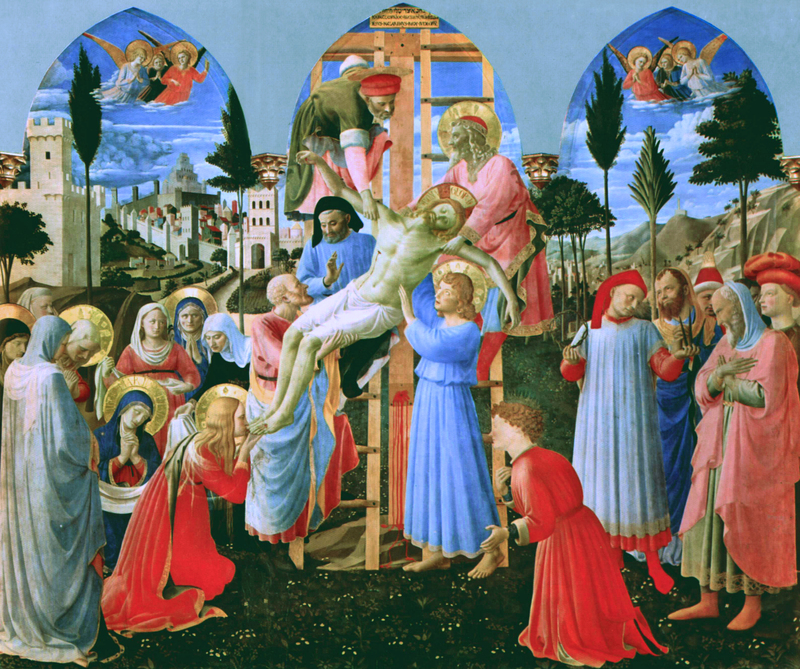 Deposition from the Cross, Fra Angelico, 1432–1434, Tempera on panel, 176 cm × 185 cm (69 in × 73 in), National Museum of San Marco, Florence.